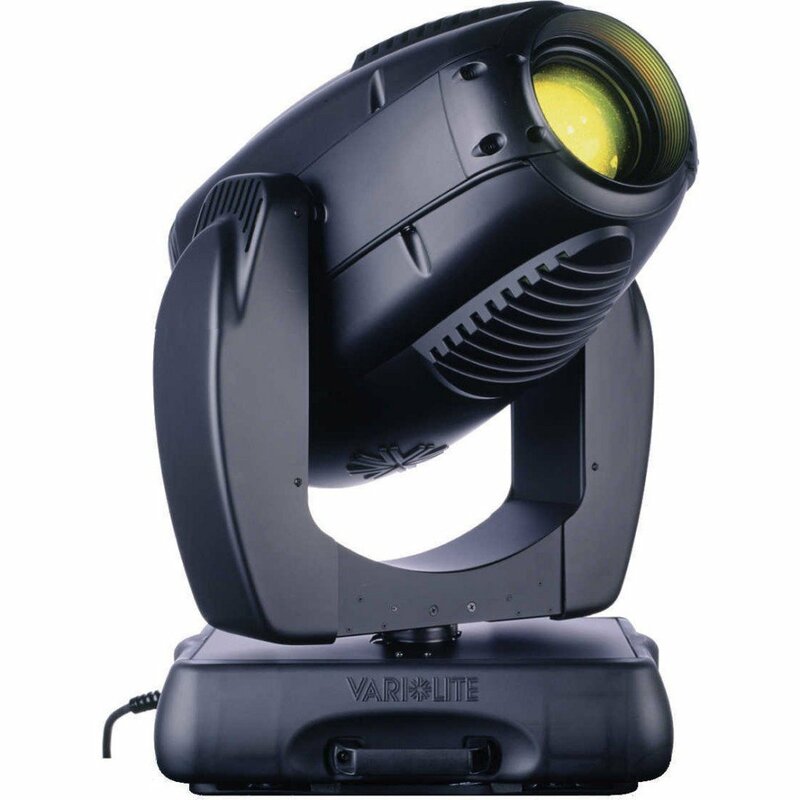 The VL3000 Wash luminaire features 6:1 zoomable beam spreader optics, CYM color mixing, variable CTO color temperature correction, a six-position color wheel and separate dimmer and ultra-fast strobe mechanisms. depending on the AC supply voltage. Weight: 79 lbs (36 kg).